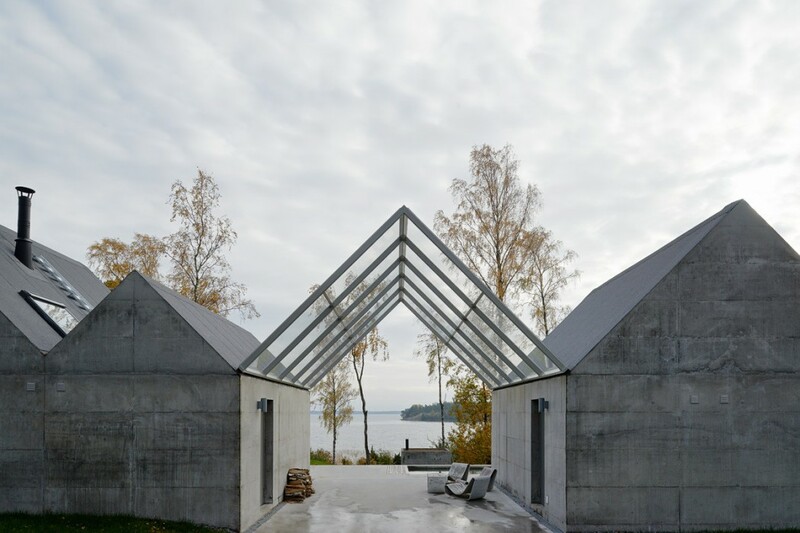 Completion of Summerhouse at Lagnö in the Stockholm archipelago. 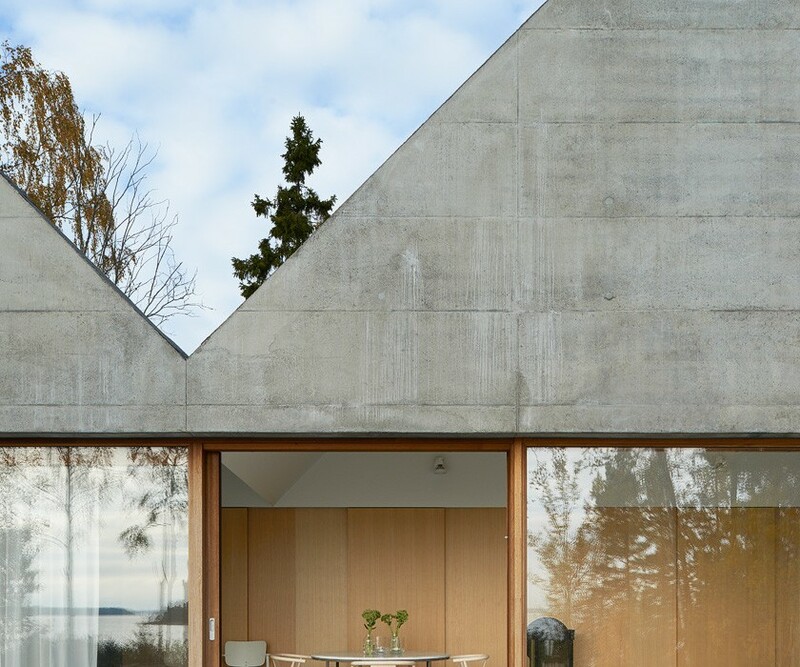 The building sits on the border between a forest and the coast line. 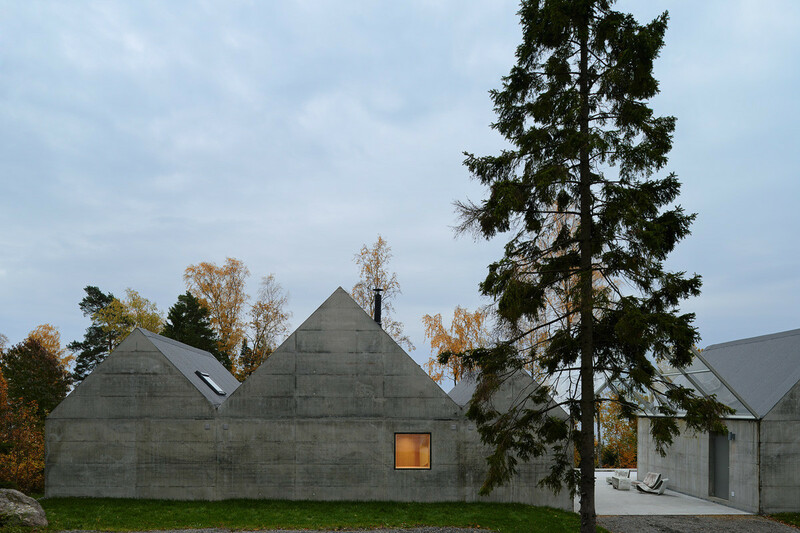 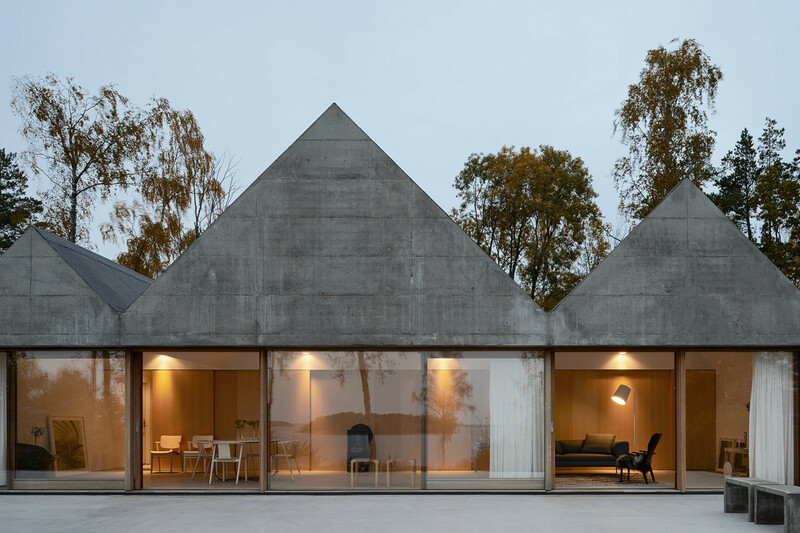 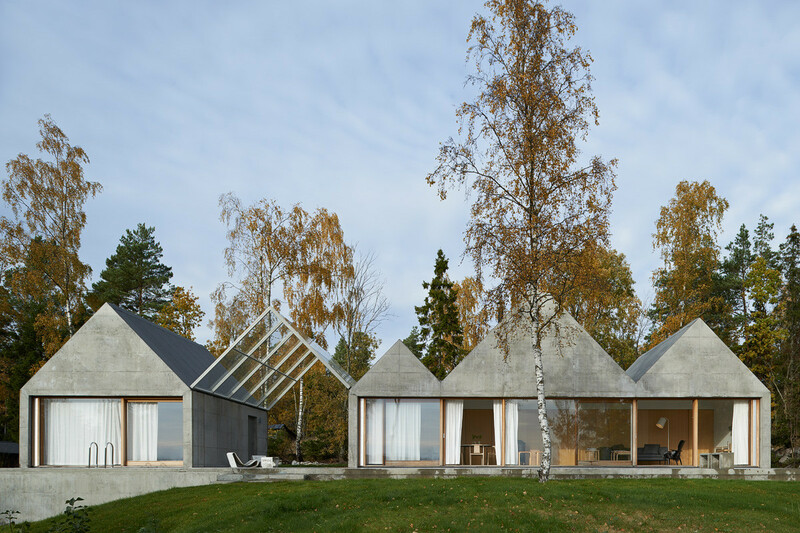 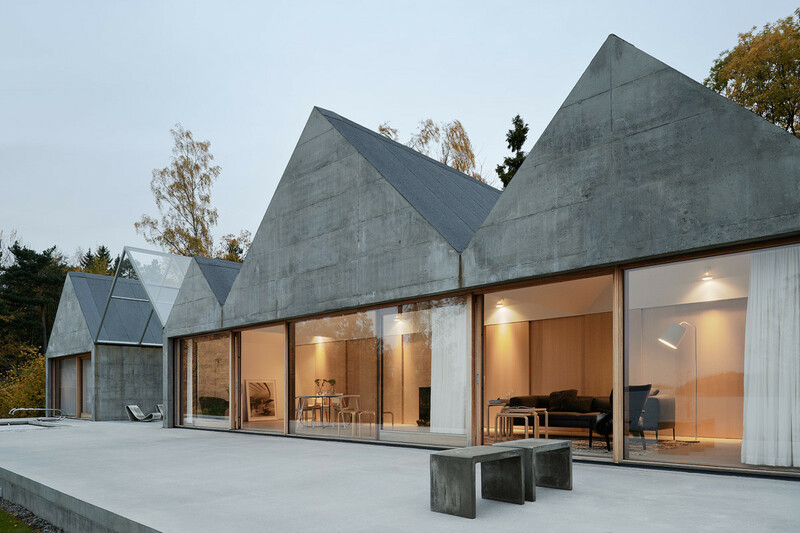 A sequence of interconnected pitched roofs made of natural cast concrete create interior spaces of varying size and heights. 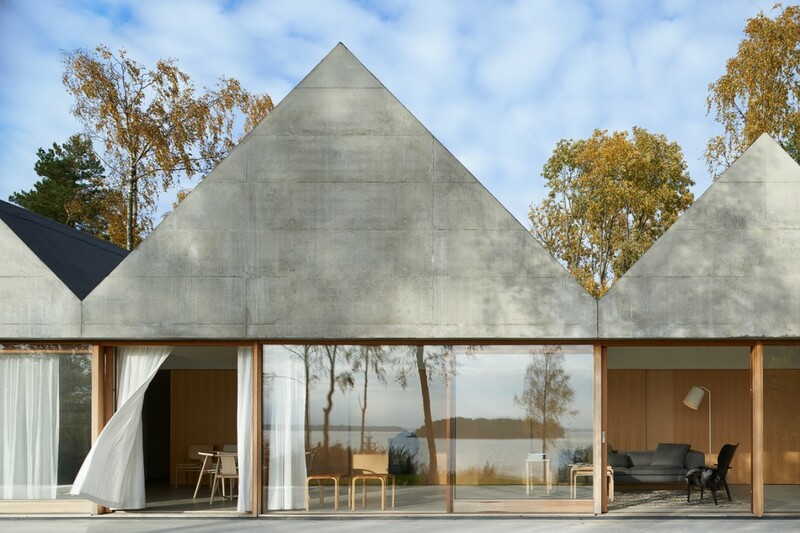 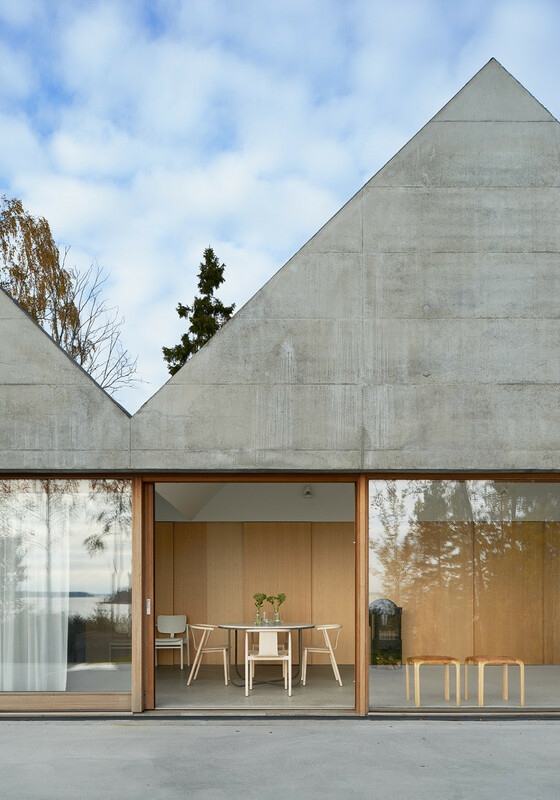 Small rooms for entrance, bath, kitchen and sleeping constitute a thick wall towards the north, while a continuous open space for living and dining opens up to the south with vast views over the neighboring islands, the Baltic sea and the horizon.